Efforts to close down Rikers Island, America’s largest jail complex, need to begin with finding effective alternative treatment for mentally ill individuals who are confined behind bars because there are no other places for them to go, according to New York’s former chief judge. “These people are not in Rikers because they’re hardened criminals,” said Jonathan Lippman. “They’re there because they have a problem, (and) they don’t need to be brutalized by a penal colony that is a relic of the past. 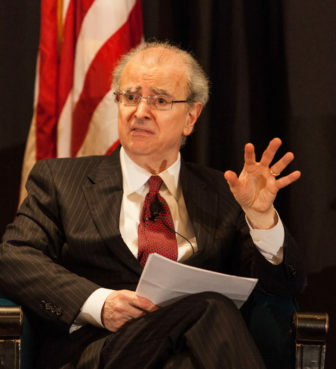 Lippman, who served as Chief Judge of the New York State Court of Appeals between 2009 and 2015, spoke at an October 4 forum on the future of the Rikers Island facility, which authorities have promised to close within 10 years. He was chair of the Independent Commission that produced the April 2017 report recommending the closure of Rikers. The forum, entitled “Closing in on Closing Rikers,” was held at Baruch College of the City University of New York, and examined viable alternatives to prison for the mentally ill that have enjoyed success in other states. At Rikers, 19% of the inmates have been diagnosed with a serious mental illness. “We’re not getting at that population yet, but if we’re going to close Rikers we have to do so,” said Cheryl Roberts, Executive Director of The Greenburger Center for Social and Criminal Justice, a nonprofit organization advocating for justice reform that co-sponsored this event. Working with the New York Daily News and the Metro Area Industrial Foundation, The Greenburger Center invited behavioral health care expert Leon Evans, President and CEO of the Center for Health Care Services in San Antonio, Texas; and Miami-Dade County Mental Health Court Judge Steven Leifman—both of whom have pioneered strategies aimed at finding alternatives to incarceration (ATI) for the seriously mentally ill.
Leifman told the group he is still horrified by the memory of his visit years ago to a mental health hospital in Miami-Dade County while he was an intern for a prominent Miami legislator. “I walked into a hellhole,” he said, recalling the sight of one teenager strapped to a bed and given thorazine which made him overweight. The teenager, it turned out, was not there for psychiatric treatment; he was autistic. In another part of the hospital, he witnessed six naked men being hosed off by a guard as if they were animals. But today, he pointed out, the mental health system’s failure to provide adequate care for troubled individuals has only shifted the burden to jails and prisons. “(Some) 40% of all people with mental illnesses in this country at some point in their life will come into contact with the criminal justice system,” said Leifman, who has been one of the country’s most influential advocates of ATI. Other participants in the forum included New York City Council Speaker Melissa Mark-Viverito, an outspoken advocate for local and national criminal justice reform. “Looking at the way we look at incarceration, and having the punishment fit the crime, is critically important,” said Speaker Mark-Viverito. In support of this idea, to date, Speaker Viverito and the New York City Council have contributed over $6 million to ATI initiatives, and recently passed the Criminal Justice Reform Act which decriminalized non-violent, low-level offences and replaced them with a summons. The Act is a boon for the homeless and mentally ill that frequent New York City streets and subways. 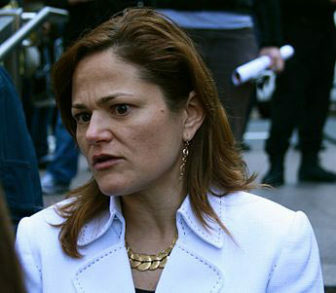 “When you think about incarcerating someone for public urination, it’s unpleasant, but does that really make sense?” asked Speaker Viverito, who believes that authorities have to re-envision their approach to non-violent offenders who are apprehended for minor crimes—if they are ever to reach their goal of permanently closing Rikers. These statistics are reflected in Rikers where, according to a 2015 New York Times article, a total of 4,000 men and women with diagnosed mental illnesses are incarcerated at any given time. This number represents more than all the adult patients in New York State psychiatric hospitals combined. On any given day, there are approximately 360,000 people with serious mental illnesses in U.S. jails and prisons. But the problem is nationwide, according to Judge Liefman. “On any given day, there are approximately 360,000 people with serious mental illnesses in jails and prisons and another 760,000 under correctional supervision,” he said. 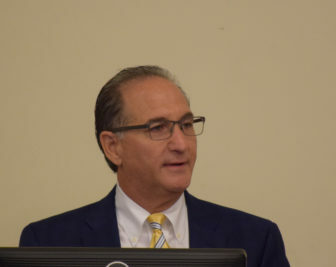 To demonstrate what can be done to achieve this goal, Leifman discussed the Eleventh Judicial Circuit Criminal Mental Health Project, which he implemented in Florida in 2000. The project seeks to steer people with mental illness that have committed low-level offences away from incarceration and towards community-based care. “Anybody that gets arrested on a misdemeanor in dade county, within three days they are evaluated and transferred from jail to one of our public or private crisis stabilization units,” said Leifman. If the person is accepted into the program, they can be in from three months to a year, depending on their illness and charges. While there, they are helped to find housing, clothes, benefits, and are assigned a peer counselor and case management assistance to lower their chances of reoffending. Leifman said that, as a result of this program, recidivism rates in arrests of the mentally ill have, to date, fallen from 70% to 20%. This focus on treatment and diversion over arrest and incarceration is believed by the criminal justice community to be the best option for improving what is considered a broken and costly system. 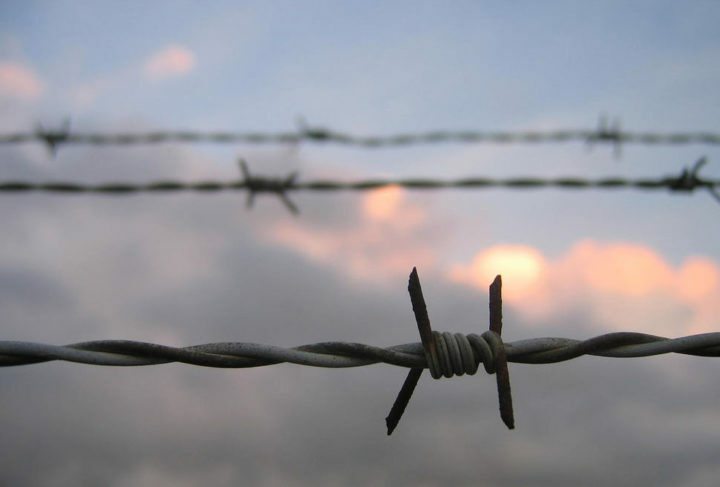 According to a 2014 report from The Hamilton Project at the Brookings Institution, the U.S. spends $80 billion on incarceration costs every year. By relying on the criminal justice system to provide services, taxpayers are losing money by putting away people who come out worse than when they went in, Liefman observed. “It’s gotten so bad that our communities are now having to choose between building a new jail and a new school or hospital,” he said. For Judge Lippman, Rikers Island is a symbol of the misguided idea that mass incarceration has any rehabilitative function. “Whether you’re there for three days, three weeks, or three years, you wind up in a much worse place than when you came in,” said Lippman, who agrees that diversion and treatment are the best course of action. In addition, through research for his report recommending the closure of Rikers, Lippman found that by closing the prison, and focusing on smaller, more up-to-date facilities, New York would save over $1 billion annually. The first step, in his mind, is lowering the prison population from 10,000 to 5,000, and the mentally ill are a key population. He cited programs such as Crisis Intervention Training (CIT), which police departments around the country, including New York, Texas, and Florida, have begun implementing with some success. Focusing on de escalation, conflict resolution, and training to identify the symptoms of mental illness, CIT enables officers to decide if diversion is a necessary response to any situation. According to Evans of San Antonio’s Center for Health Care Services, CIT-trained officers working with his program’s “one-stop shop” for treating the mentally ill and others in crisis were able to decrease the county jail population by 22%. “Treatment does work,” said Evans, whose center offers psychiatric care, substance use services, and general healthcare. However, he stresses that the success of these kinds of programs depends on collaboration. While first serving as the Director of Community Services for the Texas Department of Mental Health and Mental Retardation, Evans became aware of all the people in the prison system of Texas who shouldn’t be there. He immediately began working on an idea for a diversion program that would break the pattern of criminalizing the mentally ill in his county. However, in trying to get various departments and elected officials together, Evans experienced a lot of push back. Working alongside the then newly appointed County Judge Nelson Wolff, Evans utilized this political muscle to help convene a health summit. Gathering together hospital executives, lawmakers, law enforcement officials, and business representatives, he built support for a more pragmatic and beneficial mental health system; one that meant less money spent on criminal justice, less-crowded hospitals, and homeless-free streets. As a result, since the program’s implementation in 2002, Evans reported that recidivism rates for the mentally ill in his county currently stand at 6.6%, versus the national average for felons after release of 43% as reported by the Pew Research Center, and that taxpayers in San Antonio and Bexar County have saved more than $50 million over the last five years. It is an example of cooperation and cohesion that he insists is necessary to emptying out jails and prisons like Rikers around the country. According to Leifman, thanks to benefits like the passing of Kendra’s Law and access to extended Medicaid, New York is, in some ways, ahead of the game. Effective since November of 1999, Kendra’s law grants judges the authority to issue orders that require people who meet certain criteria to regularly undergo psychiatric treatment. Coupled with mental health courts, which offer early screening in the court system, the law is a powerful tool in identifying and diverting the mentally ill out of the criminal justice system and into developing ATI programs such as the Greenberger Center’s own Hope House. Scheduled to open in the Bronx in 2018, Hope House will offer care and services comparable to the programs developed by Leifman and Evans. The access to extended Medicaid allows prisoners to apply for insurance coverage while incarcerated and access said coverage upon release, the often impoverished mentally ill will have access to the funds needed to maintain medications and care. Participants in the forum agreed that though many steps have been taken in the right direction, there is no one solution to the problem of Rikers, and no quick fixes in a system that still suffers from a “tough on crime” policy that stubbornly fails to acknowledge the data and science fueling the effort for change. Joking that his program is an “overnight 17-year success,” Evans pointed out that achieving change and cooperation required the aid of a County Judge willing to bring together the community and make everyone work towards a solution. He warned that what worked in one county in one state may not succeed elsewhere. New York City Council Speaker Melissa Mark-Viverito. Photo courtesy Wikipedia. Though the Criminal Justice Reform Act passed, and seemed a simple solution to ebbing the tide of New York’s incarcerated, it, nonetheless, met with controversy and resistance. “People thought that we were having the city run amuck,” said Viverito. “Bringing the mental health challenges to the forefront and making sure it’s not a conversation that is held behind closed doors will take us a long way to dealing with the issue,” said Viverito. Isidoro Rodriguez is a New York-based contributor to The Crime Report. He welcomes readers’ comments. Will Federal Alternative-to-Prison Programs Survive the New Administration? The future of Obama-era initiatives to offer reduced time for federal offenders if they complete programs of counseling is uncertain, says the U.S. Sentencing Commission. But it called for more studies of their effectiveness. —Leifman said that, as a result of this program, recidivism rates in arrests of the mentally ill have, to date, fallen from 70% to 20%. “Recidivism” is inappropriately used when an illness is involved. “The” mentally ill and “the” blacks are identical rhetoric. Neither is appropriate. The appearance of both indicates a continued lack of understanding. Perspective of retired Law Enforcement Officer – a long Overdue discussion in search of ‘a plan’. Omitted from the conversation is any mention of the criminally insane – truly mentally ill yet able to kill police officers and others when ‘triggered’ or the mood strikes. What is ‘the plan’ for that class that does not fit well into a jails ‘general population’?